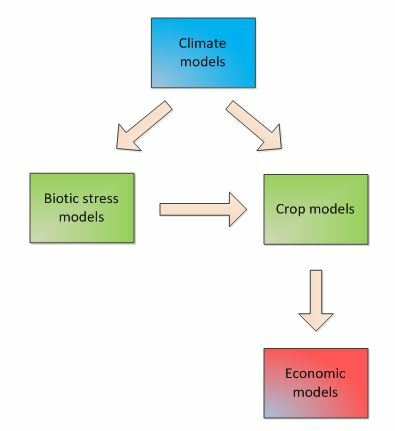 Climate change will likely have a negative effect on the agriculture sector in West Africa due to changing precipitation patterns and increasing temperatures. These changes can have negative impacts on food security in the region and, ultimately, the consequences of these changes will depend in part on society’s capacity to adapt to an uncertain future. 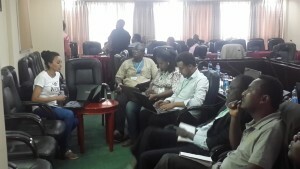 A new article in the peer-reviewed journal Global Environmental Change, “Linking regional stakeholder scenarios and shared socioeconomic pathways: Quantified West African food and climate futures in a global context”, explores this uncertainty through four regional socioeconomic scenarios developed in a series of regional stakeholder driven workshops. 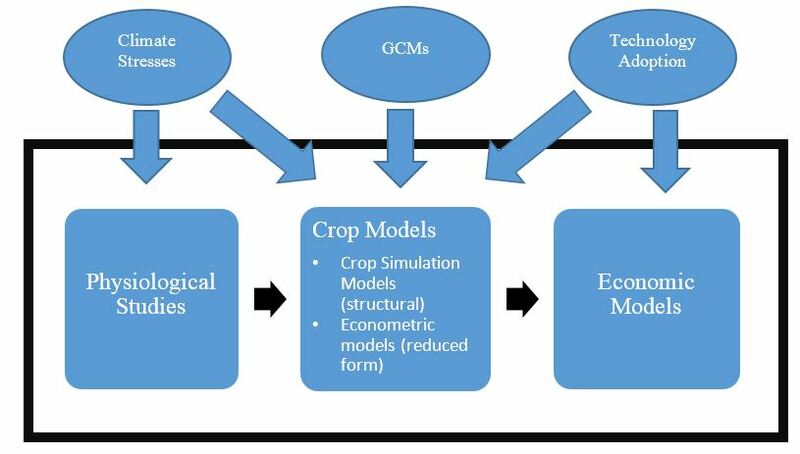 This study suggests that investments in agriculture, particularly in productivity enhancing technologies and practices, could not only improve access to food but also ease pressures on agricultural land expansion throughout the region. 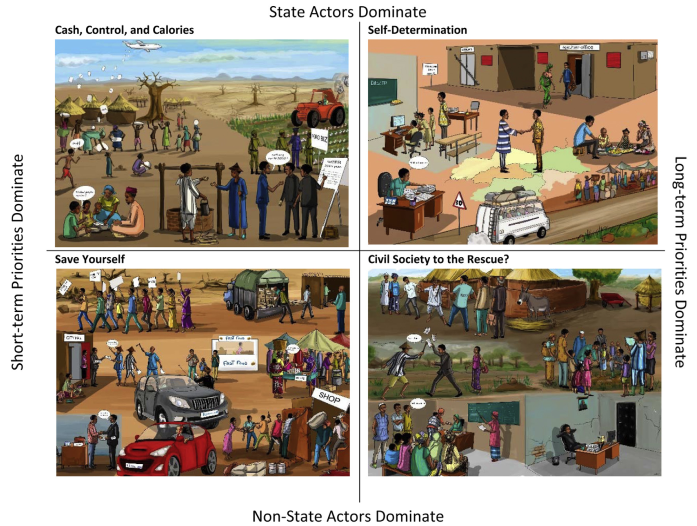 This study is part of the Regional Scenarios Project, a large collaborative effort led by the CGIAR program on Climate Change, Agriculture, and Food Security (CCAFS) that has developed regional scenarios in 6 macro regions around the world and has involved significant collaboration among colleagues in the International Institute of Applied Systems Analysis (IIASA), the International Food Policy Research Institute (IFPRI), and the University of Oxford Environmental Change Institute (ECI). IFPRI’s participation in this project is also supported by the CGIAR Research Program on Policies, Institutions, and Markets (PIM) and the Bill & Melinda Gates Foundation. Read the press release at IIASA. The journal article can be accessed here. 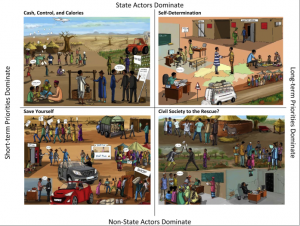 IIASA Blog post by Amanda Palazzo describing the scenario process in West Africa. 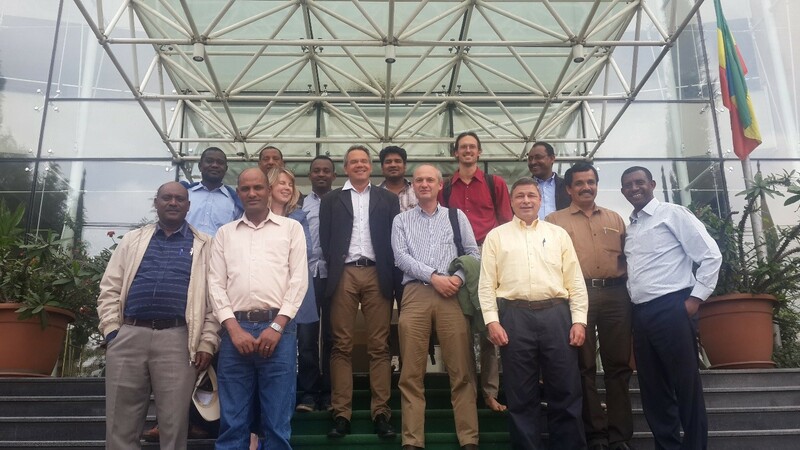 GFSF Blog post by Daniel Mason-D’Croz summarizing outputs from the Regional Scenario Project.